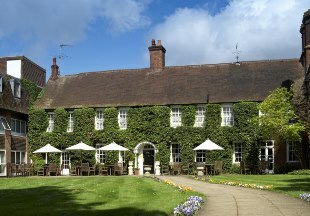 A boutique hotel with a 2 AA Rosette restaurant, the AA 4-star Swan Inn offers luxurious bedrooms and is set in beautiful gardens in the village of Chiddingfold on the borders of Surrey and West Sussex. This 18th century village inn offers boutique rooms, stylish bar and dining room. It is perfectly situated, just four miles from Chessington World of Adventures and within easy reach of Hampton Court Palace. Welcome to The Merry Harriers, a lovely 16th century inn in the pretty village of Hambledon in the beautiful Surrey Hills. Great homemade food, real ales, en-suite bedrooms in our converted barn - and llamas! 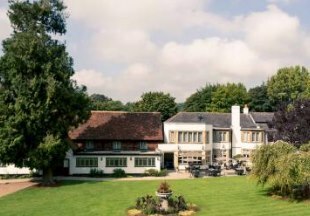 The Burford Bridge Hotel is set at the foot of Box Hill, with the River Mole running through its glorious gardens. An inn has stood here since the 13th century. The hotel is renowned for its cuisine, with the AA Rosette restaurant overlooking the delightful gardens. There is also a cocktail bar, lounge and outdoor heated swimming pool. Easily accessible via Junction 9 of the M25, the hotel is 12 miles from London Gatwick Airport. 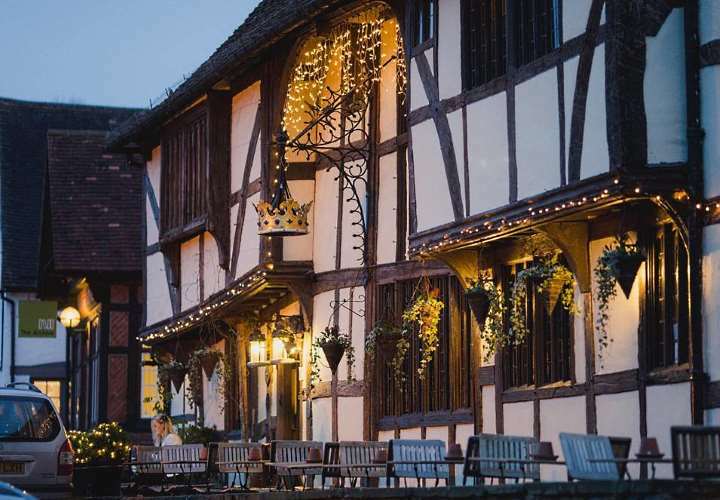 A stunning 600 year old coaching inn on the village green, this is the perfect place for a relaxing, romantic break, yet is less than an hour from London and 20 minutes from Guildford. 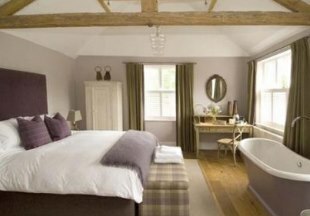 Awarded Great Britain’s Most Excellent Inn 2010 by Condé Nast Johansens. AA 5 Star Inn. Welcome to a taste of Africa at the Percy Arms. Authentic Africana artifacts, weaves and leathers create the style of a colonial hunting lodge. The 5 luxury en-suite bedrooms also boast a touch of Africa; some rooms come with gorgeous slipper baths. As for food, the daily specials’ boards include game roasts, speciality steaks and tempting South African dishes. Choose from the elegant formality of the dining room or the relaxing bar with cosy fireplaces, or opt for the beautiful garden with views over the Surrey hills. 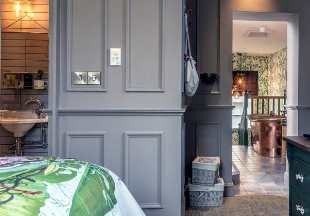 A stylish, relaxing retreat in the Surrey market town of Farnham, this 17th century coaching inn boasts elegant rooms, an attractive restaurant and an oak-beamed bar with open fire in winter. It is ideally situated just 10 minutes from the M3, 30 minutes from London Heathrow Airport and 35 minutes from London Gatwick Airport. The railway station is adjacent to the hotel. 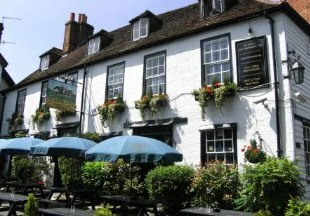 This charming 16th century inn is situated in the pretty little village of Mickleham on the outskirts of Dorking, just off the main road from Leatherhead to Dorking, and boasts 6 delightful en-suite rooms and a superb restaurant. It is within easy reach of Heathrow and Gatwick Airports, the M25 and the Channel Tunnel. This stunning old coaching inn is where Lord Nelson and Lady Hamilton’s infamous love affair blossomed in 1798. 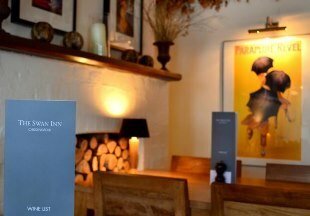 The Talbot Inn has been beautifully refurbished to combine period features with contemporary design. 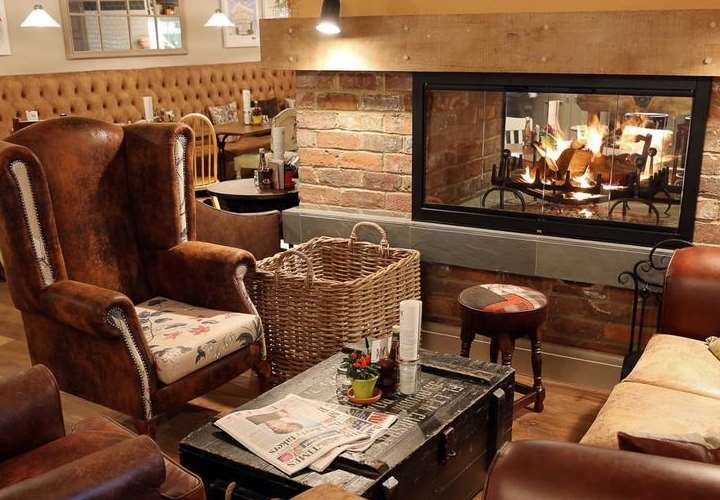 You will find a cosy bar with 15th century beams and log fires and a fabulous restaurant, featuring a stunning copper ceiling and glass conservatory overlooking the garden. The Talbot is conveniently located on Ripley High Street, just off the A3, less than 2 miles from J10 of the M25 and just 20 minutes from both Heathrow and Gatwick International airports. 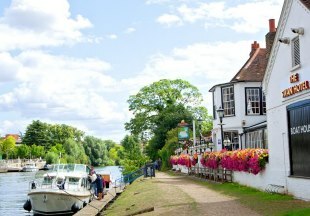 With a superb location overlooking the River Thames, the Swan Hotel boasts a bar and restaurant with riverside terrace to make the most of its perfect position. A short drive from Heathrow Airport and convenient for travel into London, Legoland Windsor, Ascot Racecourse, Thorpe Park and Chessington World of Adventures, the hotel is ideally located for both business and leisure travellers. Dogs welcome. 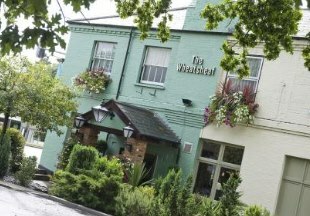 The 18th century Wheatsheaf is set on the edge of Great Windsor Park, just a stones throw from Virginia Water Lake, conveniently close to Heathrow Airport, approx 20 minutes from both West London by road and London Waterloo by rail. 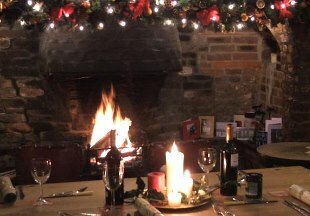 Relax by our warming log fires in winter or dine al fresco in summer. We have a wide and varied menu offering everything from a quick snack to the finest cuts of fresh meat and fish. Our 17 bedrooms have free Wifi and air conditioning. Ample on-site free parking. Welcome to the Hand and Spear! Inside this quirky building, enjoy a great choice of food from the seasonal British menu before retiring to one of the 12 individually styled guest bedrooms. Convenient for travel into London, the hotel is situated next door to the mainline train station. Perfectly placed for an escape to the country, away from the hustle and bustle of London, Surrey is an ideal destination for a short break. The county boasts beautiful countryside and picturesque villages, and we have had great fun choosing our favourite inns and hotels in Surrey to list here! There are lots of things for the visitor to see and do in Surrey. Have a flutter on the horses at Epsom, get lost in the famous maze at Hampton Court Palace, wander around Kew Gardens or enjoy the views from the top of Box Hill. And afterwards, relax in a friendly and welcoming Surrey inn. Most of the inns will provide local tourist information to help you get the most out of your stay, and a chat with the locals in the bar will often lead you to discover less well known local sites as well. So take a few minutes to browse our handpicked selection of some of the best hotels and inns in Surrey, and plan your next visit today. "Surrey is blessed with many beautiful villages and Chiddingfold is one of the most stunning. The village boasts two of our favourite inns: The Swan for a boutique, gastro pub 'feel' and The Crown for luxury, history and romantic character"
Need to widen your search to nearby counties? Surrey is bordered by Greater London, Kent, East Sussex, West Sussex, Hampshire, and Berkshire. 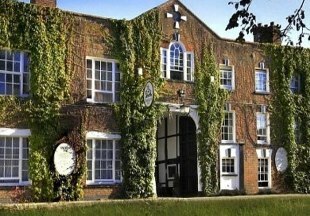 If you want to widen your search, why not browse through our selection of hotels and inns in East Sussex, Kent, West Sussex, Hampshire, Berkshire and inns in London. © English Country Inns. All rights reserved.